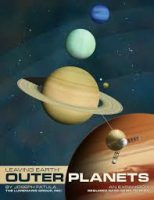 Explore the giant planets of the outer solar system all the way into 1986 in this major expansion for Leaving Earth. Visit the four great moons of Jupiter, see the rings of Saturn, search for life on mysterious Titan, and fly by the distant planets Uranus and Neptune. Add a Review for "Leaving Earth: Outer Planets"